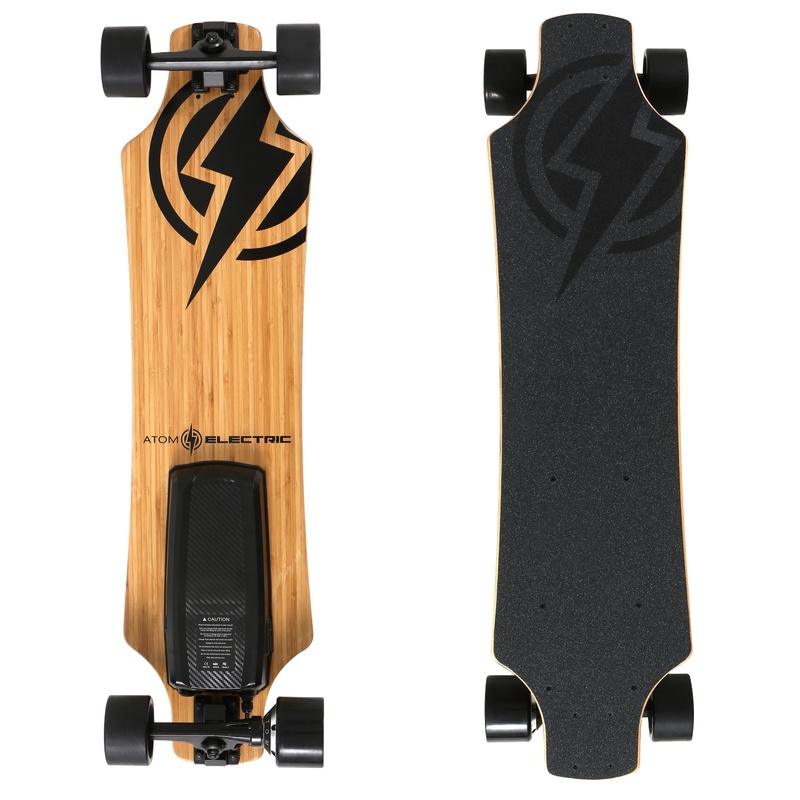 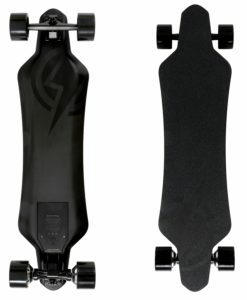 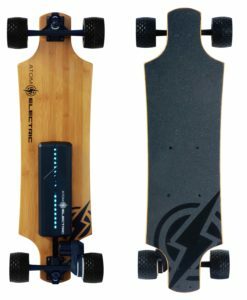 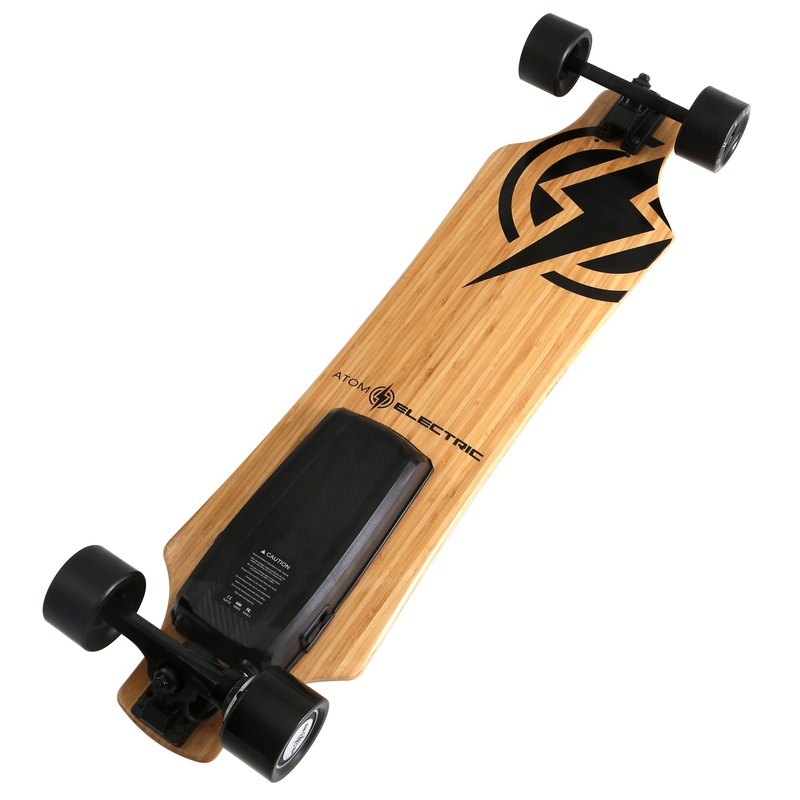 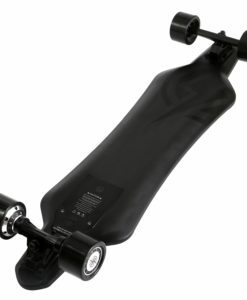 We knew we were onto a good thing with the Atom Electric H10 longboard when we just couldn’t seem to wipe the smile off our face every time we returned from a test run. 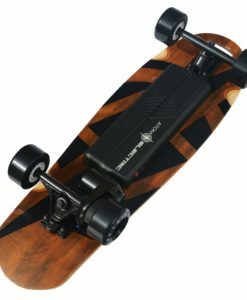 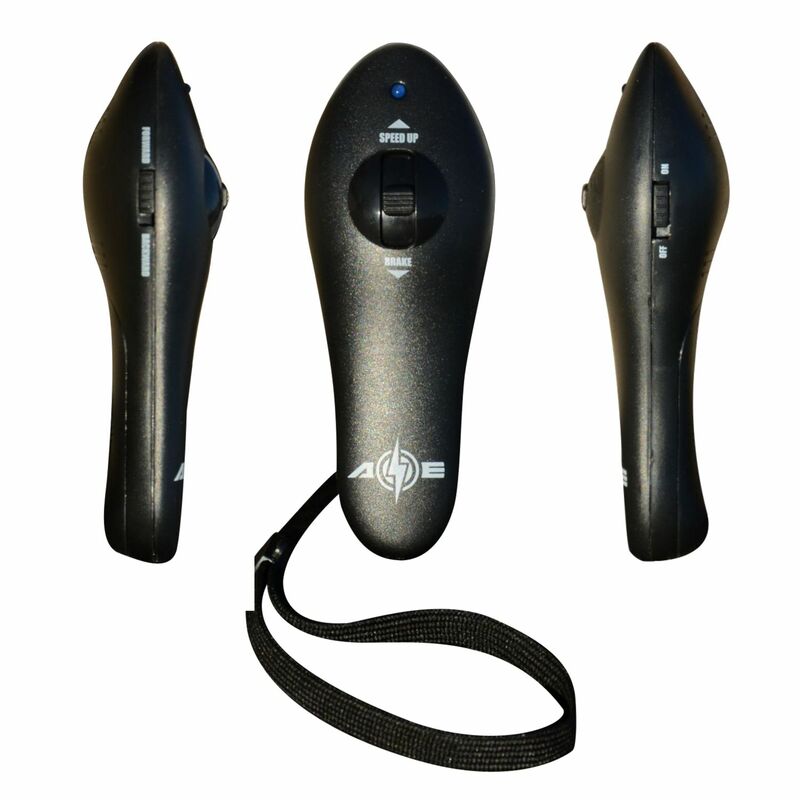 Maybe it’s the fact that so much power is packed into such a compact package thanks to high performance brushless DC hub motors and genuine Panasonic lithium-ion battery cells? 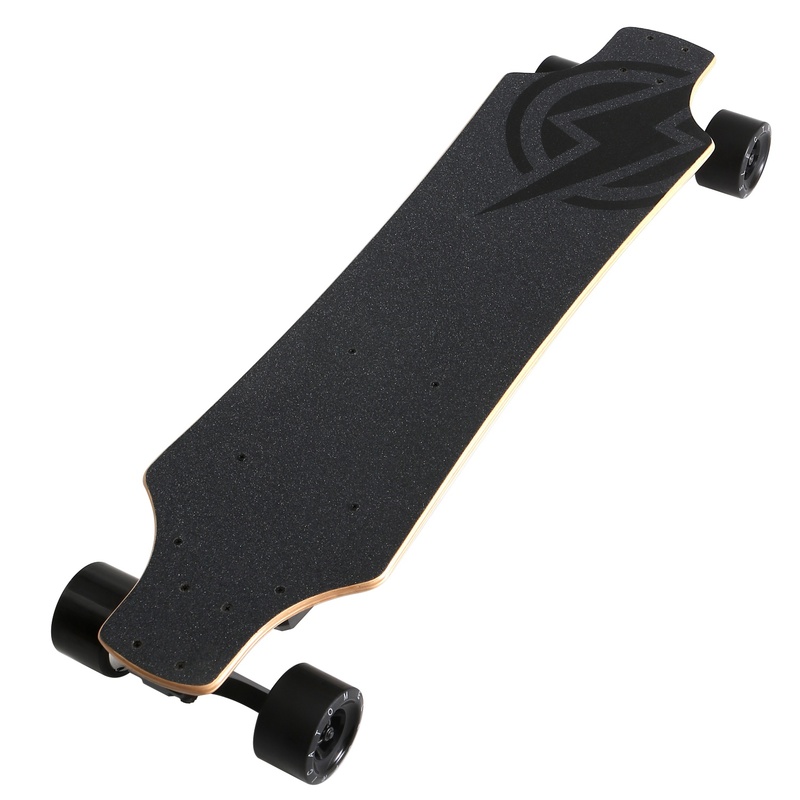 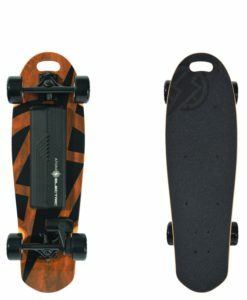 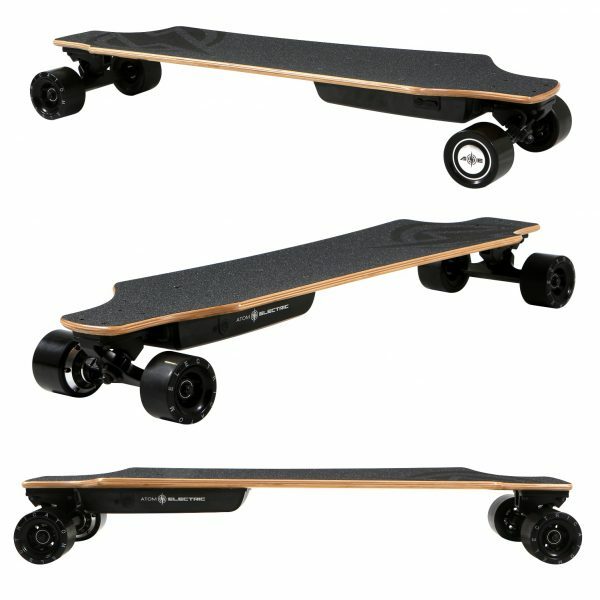 Or is it because the board itself just rides so nice with its 36″ bamboo/maple hybrid deck, high precision reverse kingpin trucks, and super-high-rebound (SHR) 70mm wheels? It could even be that the H10 literally puts complete speed control in the palm of your hand with its comfortable 2.4Ghz remote control and regenerative braking system, removing any stress that there might not be enough room on the road to throw down a slide when it’s time to shed some speed. 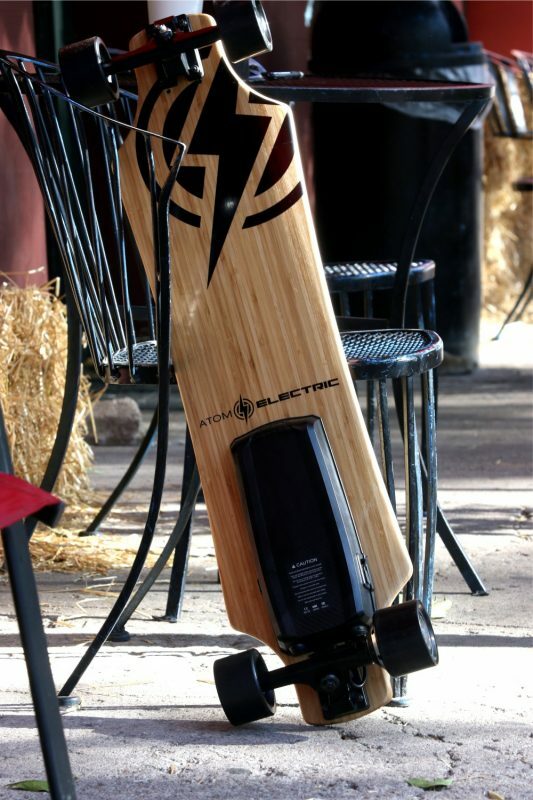 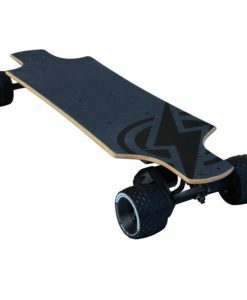 Whatever it is, you’ll find out for yourself when you embark on your electric journey with the Atom Electric H10 longboard under your feet.